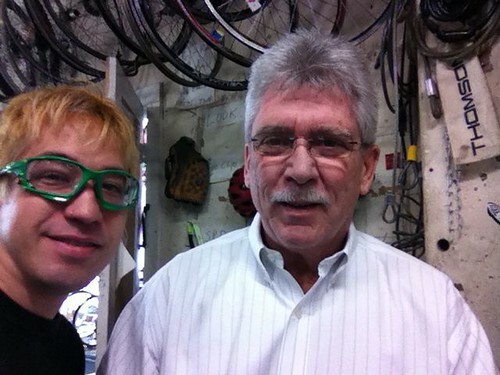 After 40 years in the bike industry, Seattle Bike Supply’s Bob Wilkes retires today, no doubt looking forward to spending more time enjoying life and less time making sales calls. Bob has been the outside sales distributor rep to our shop since well before I took over as a buyer, so he was there when I was learning the ropes. Every Tuesday he came in like an old friend. In the one ring circus that is the bike industry, Bob Wilkes is one of the people that made putting on the show a little easier. We’ll miss you, Bob; don’t be a stranger! Previous Previous post: So I Yelled, Fawk All Y’alls!